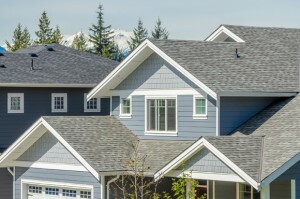 Your roof is one of the most important parts of your home, and not something you can afford to neglect. Many homeowners put off important roof maintenance, repairs, reroofs in order to save money, only to find that the procrastination cost them more in the long run. Here at Dynamic Roofing Concepts, we offer affordable prices AND quality service for all your Tampa commercial and residential roofing. We have experience working with every type of roof, and know just what your home or business needs in order to stay protected from the elements. Every technician from Dynamic Roofing Concepts is focused on providing our customers with friendly service and quality work that stands the test of time. When you are searching through Tampa roofing companies trying to find the one that fits your budget and your needs, look no further than us. Our qualifications and experience ensure that we are able to offer you maintenance, repair and replacement for both commercial and residential roofing. Our commitment to quality is evident in our belief that all roofing repair or reroofing by our company should last. We know that our work is our best advertisement, and we want you to come back to us each time you need assistance with your roofing. Whether you need shingles repaired or entirely new metal roofing come to us first for your Tampa, FL residential or commercial roofing projects in Tampa FL or any of the neighboring cities. Call us today at 813-257-9355 for a free estimate for your next roofing project.